Danes - "The Happiest People in the World"
The Core Danish Values are mutual trust and confidence with one another! Denmark - Probably the Happiest Country in the World - where Core Danish Values are based on mutual trust and confidence with one another! ...I want to be happy - But I won't be happy - Till I make you happy too! The Danes have been awarded several times in many international surveys and studies - the status and appraisal of being the "happiest people" in the world - with a very high living standard - and the Danes have their own opinion - as why the Danish nation ranges among the best in the world - which are fundamentally - traditionally and mentality: The Core Danish Values - based on mutual trust and confidence with one another! Furthermore - most of all freedom loving Danes protect and defend their democratic rights - as freedom of speech - freedom of the press - gender equality - high quality of life - financial security and social benefits - informal working atmosphere - clean environment - equal educational possibilities - Christian values and many other traditions that are a strong and natural part of the cultural heritage and national identity - which has contributed to build up the Danish kingdom through many generations and centuries - and also by means of mutual trust and confidence among the Danes - and amongst other fellow citizens - that are the basic elements and core values of a democratic and Christian society like the Danish. 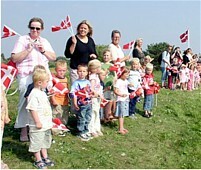 Moreover - the Danes just adore their country - even though they are the most heavily taxed people in the world. They work hard - but happily pay for their welfare system that gives every individual equal rights and privileges to have free access to the public health care system - plus other social and public services and benefits. Additionally - one of the most important and basic elements in the Danish society is the fundamental principle of gender equality - which is the primary driving force - that has for generations been a united teamwork between the Danes to developed and form one of the world’s most unique and well functioning welfare systems - based on a deep-rooted gender equal society and gender equal lifestyle - which is in great harmony with the Danes democratic ideals and shared values. Some of the foundation of the freethinking - democratic and modern society in Denmark is based and built on the Cooperative Movement from 1790s (Andelsbevægelsen) - the Folk High School Movement from 1844 (Højskolebevægelsen) - the growing Danish Women’s Movement from 1870 (Kvindebevægelsen) - as well as the developing Labour Movement from 1870s (Arbejderbevægelsen) - which all had great impact on the Danes daily life - and also had enormous influence in preparing and signing the Danish Democratic Constitution in 1849 - plus later sections of the Constitutional Act. 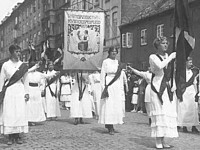 All these movements have later evolved into new fruitful branches - and local voluntary associations - which are spread all over the Danish Kingdom - with millions of active members - and is still the cornerstone of Danish values - culture - traditions and solid cohesiveness - which has been practiced through numerous generations. Ask for a seldom autograph! When you meat a Dane - just politely ask for their autograph - as you are meeting someone very special - for instance - the Danes you contact has the record of paying the highest taxes in the world - actually they are world champions in this discipline - and placed on top of the victory podium - and secondary they are the only and seldom species that speak the Danish language among the very chosen few living on this lovely and crowded planet called Earth. When you visit Denmark and Copenhagen - you are welcome to speak to some Danish citizens - and ask if they actually are the happiest people in the world - as awarded by numerous surveys and reviews during time - and also if they are living in the happiest place on earth - like some studies claim - and we presume the answer will be quite positive. Just try! Respectful togetherness and socialising start very early at school among youngsters in Denmark - and are core values to interact and think together in the Danish society - which also is an important part of an easygoing and peaceful lifestyle in Denmark. 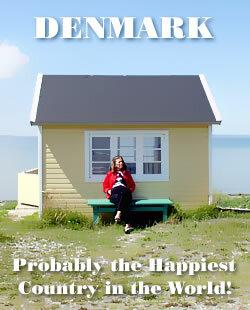 Other interesting sites about the Happy Danes and Denmark! The Danes have a very relaxed and happy lifestyle - and use any opportunity to carry out their open air activities plus gladly enjoy their leisure and recreational breaks. There is always great action at every local sports event in Denmark. 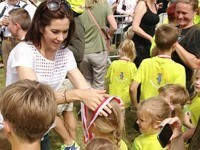 Here - the active Danish crown princess Mary - is hanging a medal on to Alma. 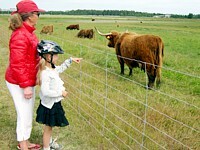 Sports activities are very popular in Denmark - and gathers many happy participants of all kinds and of all ages. The Danish Women's Movement from 1871 - is one of several valuable movements that are built on a solid foundation of a freethinking - democratic and modern society in Denmark - - and the core essence of the modern Danish lifestyle.